The company has ended its corporate and tech PR relationships with Brunswick, Text100, and Golin. SAN JOSE, CA: Cisco has consolidated its corporate PR, technology PR, and corporate social media work with FleishmanHillard. Cisco selected Fleishman following a review of its global corporate communications PR partners. Most recently, Brunswick Group ran the company’s corporate PR, Text100 ran tech PR, and Golin ran corporate social media. In November, Cisco embarked on an RFI to modernize Cisco comms. The three firms, along with others, were invited to pitch, explained Cisco’s VP of comms, Vitor De Souza. The transition period will begin the week of February 4. 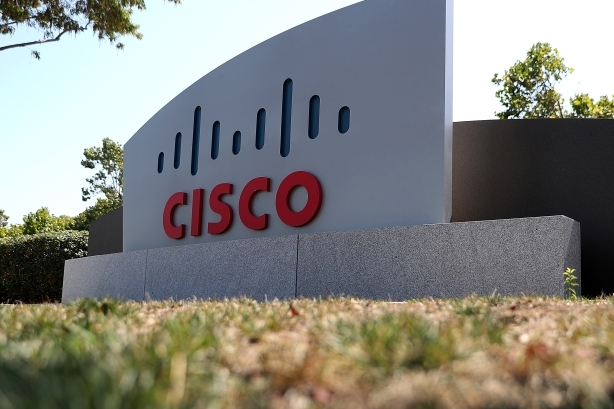 In terms of services Fleishman will provide to Cisco: For corporate PR, Fleishman will assist with M&A, fiscal investment, issues management, people and culture, and CSR efforts; for tech PR, the agency will help with product portfolio innovation; and the firm will also aid the company with its corporate social channels, De Souza said. "My group sets our global PR strategy then we partner with regional teams to execute," he said. "But the regional teams also develop their local strategies too. Fleishman is the AOR, core corporate agency in partnership with Teneo which remains our partner [company’s strategic comms adviser]." Cisco has not consolidated its PR firms to save money. De Souza explained that it’s more about the company operating in a more integrated and modern way. "Fleishman had the right blend of talent, cultural fit, and regional capabilities that we felt would be perfect for this integrated approach," he said. Tim O'Keeffe, GM, senior partner, and SVP in Fleishman’s San Francisco office, is leading the account team. Budget information was not disclosed. "In the coming weeks we will begin the process of working with [De Souza] and his amazing team to understand in high definition where they need to go in 2019," O’Keeffe told PRWeek via email. "I can tell you that we expect Cisco to be amongst our premier accounts at FleishmanHillard." De Souza had nothing but nice things to say about incumbents Brunswick, Golin, and Text100. Brunswick is no longer working with Cisco, but Text100 has "a few regional partnerships" with the company, and Golin will provide digital and social media strategy and execution for other business units within Cisco, said De Souza. "I have a tremendous respect for [the agencies] and have no doubt they will continue to do great comms work for whatever brands they work with," he said. With the departure of Cisco from the Text100 portfolio in the U.S., Text has made the decision to restructure its North American business so that it can "set itself up for future success," which includes the departure of a number of members of its U.S. team, a Text100 representative told PRWeek via email. "Our new structure is designed to help ensure that we are a nimble organization, ready to take on the opportunities as we launch a new agency in the weeks ahead," the rep said, adding that Text is "incredibly proud of our long relationship with Cisco, which has been highlighted by award-winning work and exceptional relationships." The new agency the rep refers to is Next Fifteen Communications’ upcoming merger of its agencies Text100 and Bite. San Francisco-based Bite CEO Helena Maus will be chief executive of the combined company. Text100 CEO Aedhmar Hynes left the firm at the end of September, following 18 years at its helm and 28 years total as an employee. Last year, Text100 lost major client IBM after 17 years. A few months before that, Text100 lost client Lenovo to Zeno Group. Cisco reported better-than-expected earnings in the first quarter of its 2019 fiscal year. The company garnered revenue of $13 billion, versus $12.8 billion as expected by analysts, according to Refinitiv. This story was updated on January 29 to clarify Cisco's ongoing relationships with PR agencies.